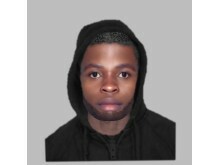 Thames Valley Police is releasing an E-fit image of man who sexually assaulted a woman in Milton Keynes. 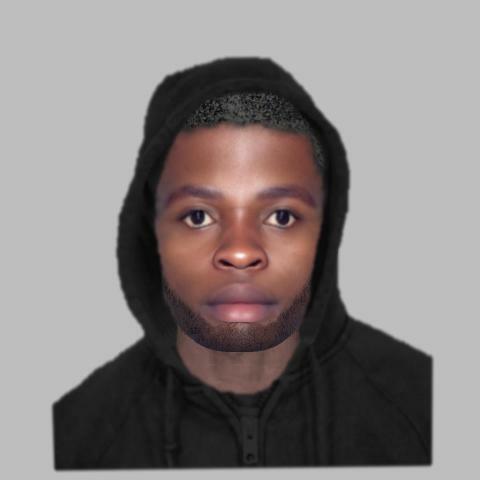 The offender is described as a black man, aged approximately 16 to 18-years-old, around 5ft 9ins tall and average build, with short black hair and a dark beard. He was dressed in a dark hooded top with the hood up and matching tracksuit bottoms. He was riding a silver mountain bicycle. “We are releasing an E-fit image of the offender in this incident which took place in February. “It is part of a re-appeal for any witnesses to this incident to come forward and help us with our enquiries. “This incident happened in a public area at a time where it could have been witnessed by a number of people. To alter, add, tint, colour or change any details within the pictorial statement would amount to tampering with evidence.